The month of May sees the start of National Walking month and this year Nicola and I are going to try and walk as an absolute minimum 20 minutes every single day. 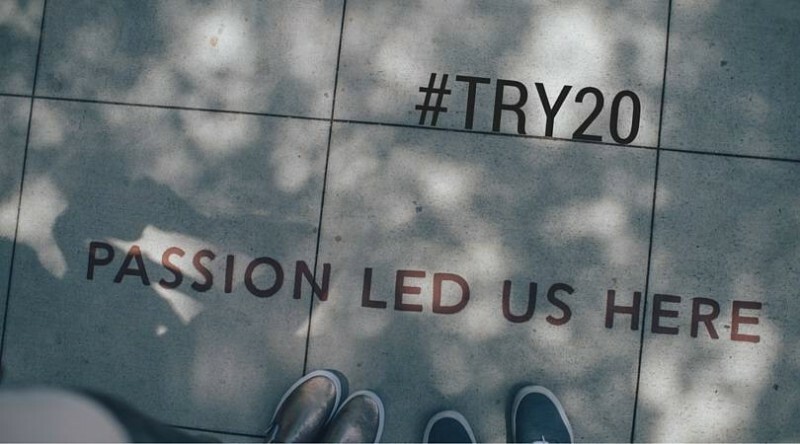 Of course there is a hashtag for this (#try20) but it’s not one we have created. Living Streets is the UK charity that champions everyday walking. Their aim is to create a walking nation, free from congested roads and pollution, reducing the risk of preventable illness and social isolation and making walking the natural choice. For over 85 years Living Streets has been a beacon for walking. In the early days their campaigning led to the UK’s first zebra crossing and the introduction of speed limits. Their ambition is to get people of all generations to enjoy the benefits that this simple act brings. Progress starts here: one street, one school, one step at a time. Twenty minutes is doable and I’m aiming on getting a minimum of a fifth of the recommended daily steps (10,000) fitted into this time. Yes whilst Nicola was down in London celebrating her nephew’s naming day and lots of bloggers were in Manchester for Blog On I was subjected to the Metro Centre. I didn’t count the time or the steps as I stupidly left my tracker at home (which is currently my mobile) but if I walked past each shop front, I would have walked 3.5 miles and believe me it certainly felt like that especially with a reluctant six year old and pushing a nine month old in his pram. Purchased: 1 x man’s suit from M&S, baseball boots from Clark Shoes, Scalp products by Aveda at House of Fraser and concealer by collection 2000. Bank holiday Monday and we headed to Wynyard Hall to see, ‘The Very Best of British’ Spring Fair. Not much walking got done as I bumped into Judith and Nicky of Pure Candles who I haven’t seen in years. After a rather uneventful event (another story) we decided to head to the beach. The rain clouds were in the sky and there was a nip in the air but I was driving so I was in charge so off to the coast we go. We parked up and I donned our Baby Bjorn One carrier and it was off for a walk with 17lb (7.7kg) strapped to my front. It’s a short walk along the high street past Tommy and then done some steps then a ramp and then some more steps. I needed help going down as I couldn’t see past Luke to see the drop of the steps. Then we were onto the beach. This is not a sandy beach but one with pebbles and sea glass. We spent time forging for lovely glass and then Emily and H2B headed out to look at the rock pools. We walked to the edge of the beach and then the sky went dark so it was about turn and a quick march. This took us about ten minutes from the edge of the beach to the top of the steps as it was almost two steps forward two steps back on the shingle. The time spent walking was part of our day and didn’t feel like exercise at all. I’m looking forward to tomorrow and this #try20 is so manageable. I did both of these walks in a pair of heeled boots, not the type of footwear necessarily associated with walking but nether the less a walk is a walk no matter what’s on our feet from bare toes to stilettos. Get walking and #try20 ! We’ll keep you updated with how we are going.